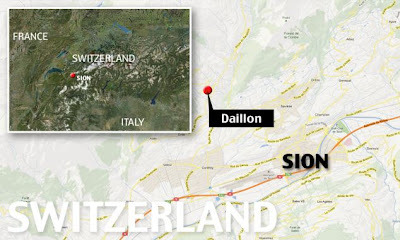 A mysterious mass murder happened in the Alps, recently on New Year's Day 2013, in Daillon, Switzerland. Police in Switzerland are waiting to interview the 33-year-old psychiatric patient, named locally by his first name Cedric, thought to be responsible for [the January 1st] carnage in Daillon, in the Valais canton, 60 miles east of Geneva. The man, who has a history of threatening people with guns, is in a 'stable condition' in intensive care after being shot in the chest by a tactical police firearms unit.... Read more here. 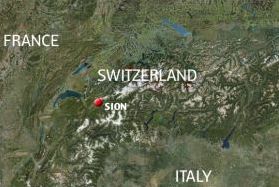 Note how on the map, the location of Sion. For some reason, this event brought to mind Bob Marley's song, "Iron Lion Zion." And Dying! As Theo P. mentions to me, "don't forget the Sion/Zion connection in The Matrix trilogy." Read a summary of that here. See also more about the shadowy figure of Merovigian in The Matrix saga, and the source of the Merovigian = Priory of Sion. In Kabbalah the more esoteric reference is made to Tzion being the spiritual point from which reality emerges, located in the Holy of Holies of the First, Second and Third Temple. Zion (Hebrew: ציון) (also transliterated Sion, Tzion or Tsion) is a place name often used as a synonym for Jerusalem. It is intriguing to look at the etymology of Zion. Zion may be derived from the Hebrew root ''ṣiyyôn" ("castle"). Also, looking at the commonly used form based on German orthography, where z is always pronounced [t͡s] (e.g. "zog" [t͡soːk]), hence "Tsion" in German literature. 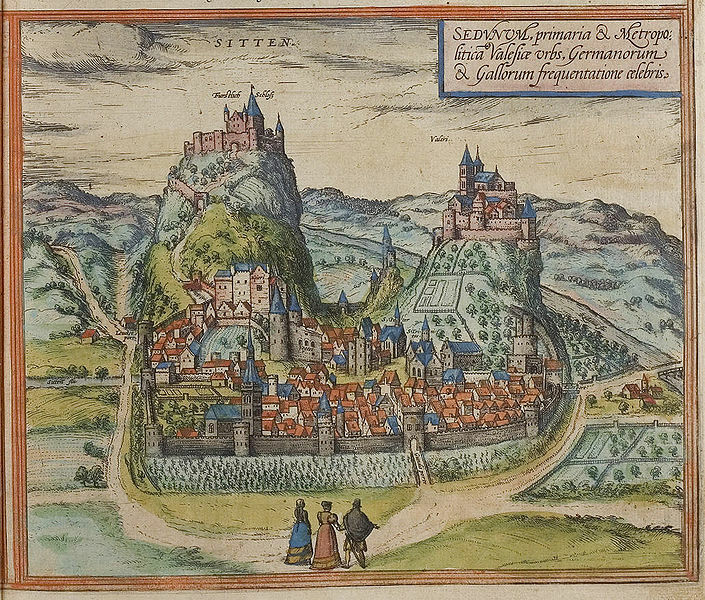 By coincidence, images of ancient views of Sion, Switzerland, have a remarkable "castle-like" look to them. It is not too far-fetched to see the link between Zog = Zug. Also observed is that: "The attack took place less than 150 miles from the French village of Chevaline, near Annecy, where - in September last year - five people, including a British[-Iraqi] couple, were shot dead by a mystery gunman." On January 4th, the media reported: "Police say that the guns used in the two incidents are not the same, although guns used in both incidents were old Swiss army guns." What's going on? We don't know. Read more about the Annecy shootings, which I wrote about earlier here. The following historical Zug event is being revisited due to what occurred in Daillon. On September 27, 2001, Switzerland was left reeling by a gunman’s attack on the Zug regional parliament, which killed 14 local politicians. Coming as it did barely two weeks after the attack on New York’s twin towers, the shooting spree was especially traumatic. On September 27, 2001, Friedrich Leibacher stormed into the chamber of the Zug cantonal parliament. He was wearing a home-made police vest, and carrying a number of weapons, including an assault rifle, a pistol and a revolver. In the space of two and a half minutes he fired more than 90 shots and ignited a home-made bomb. At the end of the attack he killed himself. 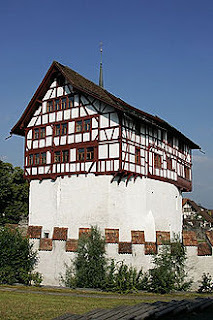 Three members of the cantonal government and 11 members of parliament were killed. Another 18 people were injured, some of them seriously. Leibacher’s chief target, minister Robert Bisig, was unharmed. Leibacher, who was 57, had a long history of legal disputes with the authorities, and felt he had been treated unfairly. Source. Thanks for the initial news tip from Theo P.
Following the lexilink, perhaps we should include Blavatsky's Book of Dzyan? Perhaps. But like some of the other wierd "channeled" names in her work (such as "Jwal/Jhwal", a "Tibetan" master with an Indic or Sanskrit name e.g. Jvala), 'Dzyan' here is likely a Tibetanized pronunciation of the Sanskrit _jnana_ meaning wisdom or (cognately) gnosis. It begs the question, who was her Tibetan informant for the bowdlerized Sanskrit words that she used --to an enviably mystifying, almost indecipherable effect-- in her work. Nobody seems to know. But the chances are, that person had no clue as to meaning of 'Sion', 'Zion' nor of Ras Tafari, for that matter! In other words, I think synchromystical homonymy stops short and wilts when it draws near Ms. Blavatsky and her garbled, Tibetanized Sanskrit...at least in this case. Many thanks for bringing this to our attention. Switzerland has too many guns and spooks. "Jean de Daillon, knight of king Charles VII. He became popular when he fought with Jeanne d'Arc for the catch d'Orleans." "Daillon Jean, Jehan Daillon, or Jehan De Daillon, (1423-1482), Comte du Lude, chamberlain of King Louis XI of France, governor of Dauphine, of Artois, of Alençon and Perche. He was also bailiff of the Cotentin. 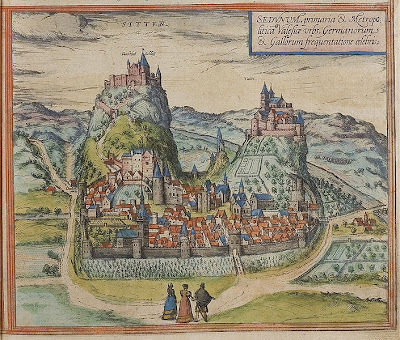 When Louis XI became king, Jean Daillon took refuge in a cave in the valley Maulne to escape his vengeance, but after seven years of disgrace, Louis XI finally granted him a pardon. Daillon then returned to the king, his childhood friend and became his chamberlain." "Ras" means "head" but is an official title in Ethiopian royalty, like Duke or Earl in the West. "Tafari" is a family name. They are Amharic words. The name "Ras Tafari" was Haile Selassie's name prior to becoming the Ethiopian Emporer. 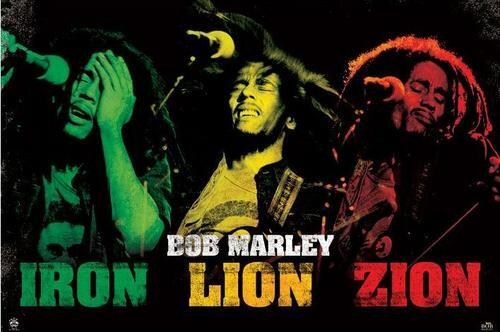 For a counter to Marley's "Iron Lion Zion," Peter Tosh (Winston Hubert McIntosh) wrote "Lion," which included a verbal jab at Marley among the larger theme of hypocritical, false "Rastas." Talkin bout Lion, iron, but you're far from Zion"